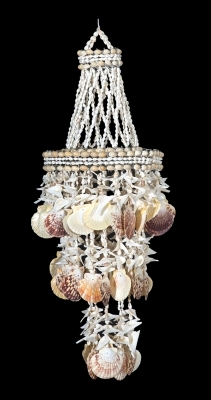 C-198 - Shell Chandelier with Moon Shells. 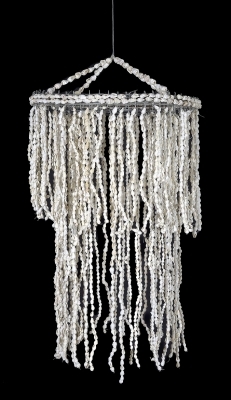 C-198 Shell Chandelier with Moon Shells. 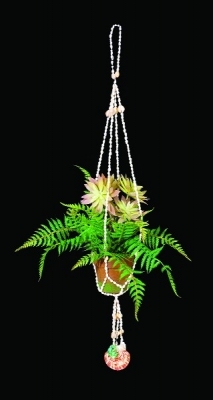 Height 28" .....$16.00/Each. 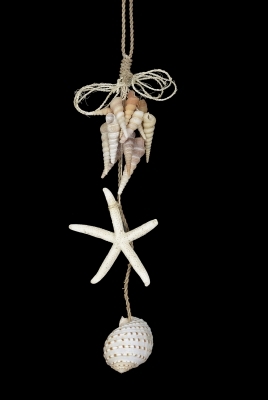 C-197 Shell Chandelier with Sun & Moon and Starfish. Height 38" .....$10.00/Each. 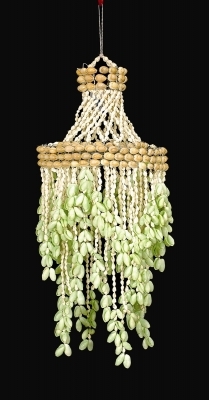 C-196 Shell Chandelier with Turitella. Height 20" .....$6.50/Each. 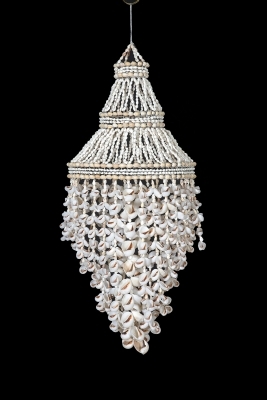 C-193 Shell Chandelier with Pecten. 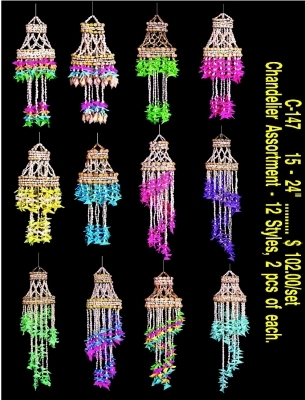 Height 24" .....$13.50/Each.